For Bengalis, Durga Puja is much more than a religious festival. It is that time of the year, when creativity is whipped up to its vibrant best. 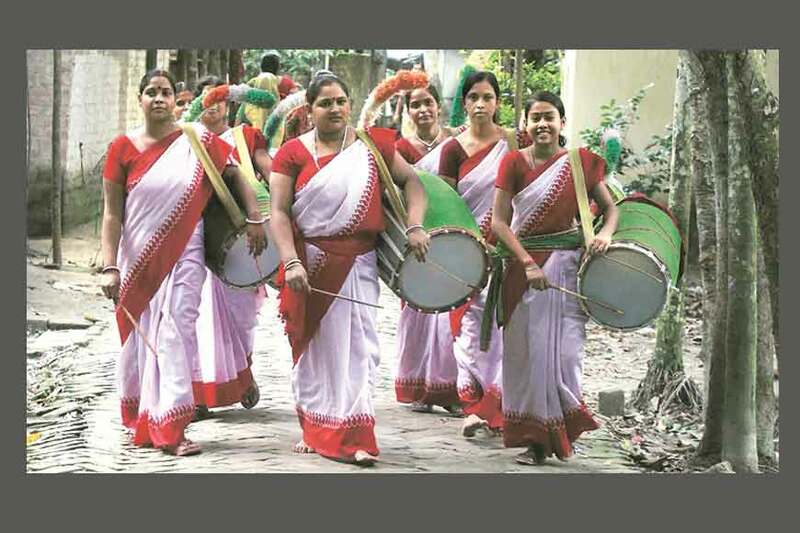 But the traditionally closed-door celebration and worship of the pagan goddess, Durga, in the zamindar mansions of Bengal has evolved into a humongous corporate affair of gigantic proportions over the decades. It is an organic festival which celebrates the triumph of good over evil and the harvest, and its growth has never atrophied; in fact, these days the festival is being compared to the Rio Carnival, where more than two million people come together to watch the parade in the Sambadrome and attend the balls held in the infamous Copacabana Palace and beach. 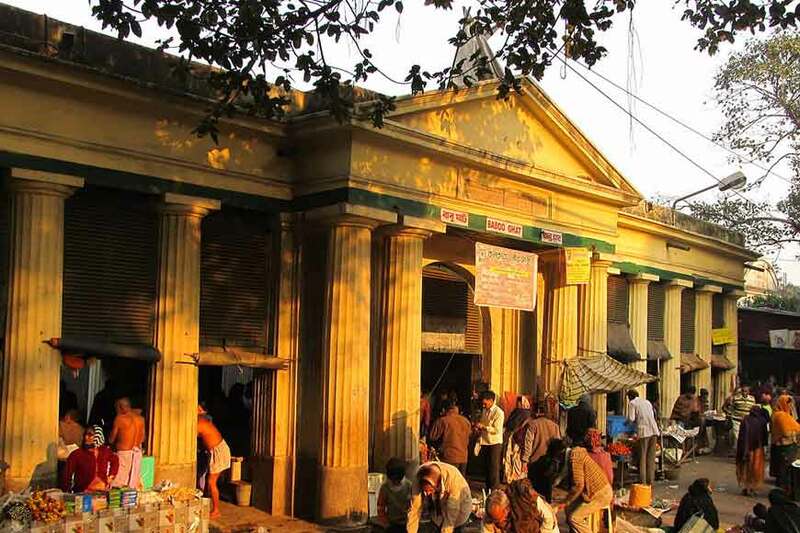 But Durga Puja,is more of a festival of the masses and over the years its popularity dependedmore on public footfall, which is an important keynote for the changes taking place over the last few decades.The inclusivity and celebration as a community draws locals and tourists alike. To attract the crowds, the creative side of the corporate factory churns out products that relate to this huge festival in some way or the other. 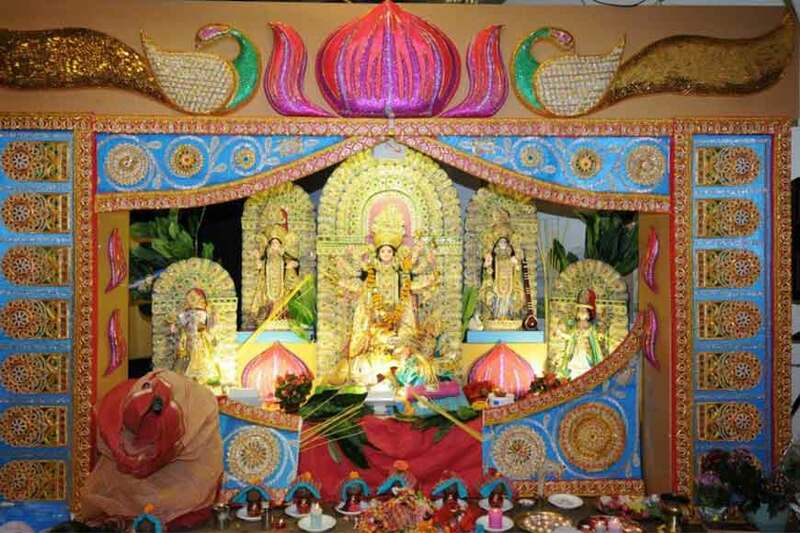 Surveys and hard-core statistics,reportlarge amounts of moolah are spent in advertising to build up the Puja tempo. 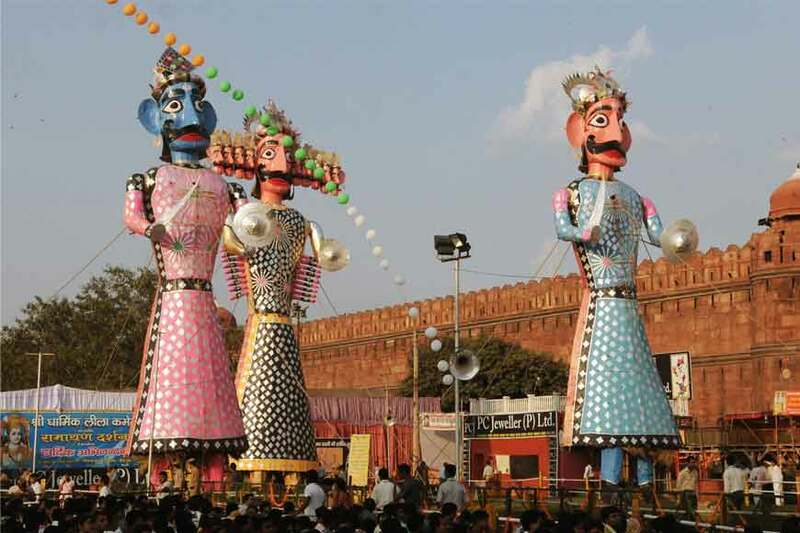 These advertisements are not limited to just clothes, shoes,electronic goods, household items, magazines and periodicals but encompass every sphere of a consumer’s existence and aesthetics through even pandal decorations. The corporate worldcreates an entire series of campaigns and advertising events, slogans. It encroaches further and utilizes the opportunity to sponsor Pujas to increase its presence and visibility during festive days. This comes as a boon for Puja organizers as well. Daggers are drawn between clubs as organizers compete each other in theme, ideas and concepts that range from the simple and aesthetic to the most complex and sometimes bizarre. 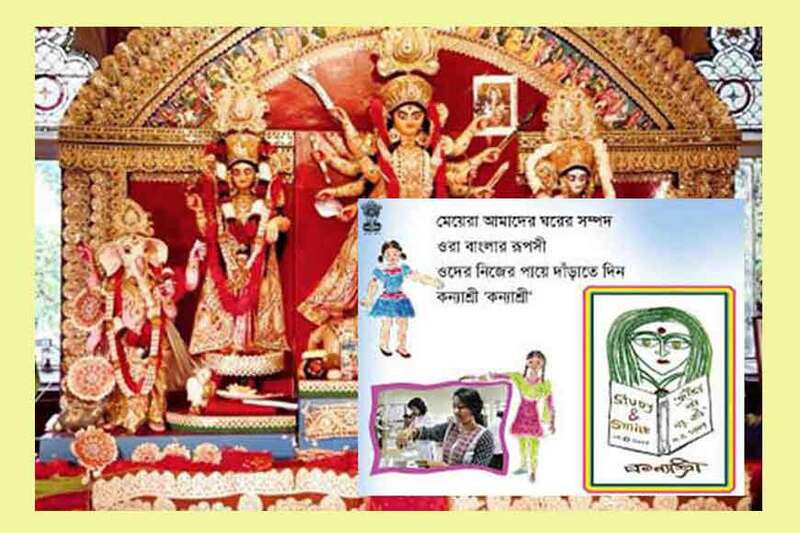 This change was first noticed in the 1980s, when organizers of Bakulbagan Sarbojanin Puja Committee commissioned renowned artists like Nirode Mazumder, Meera Mukherjee, Bikash Bhattacharya, Paritosh Sen and others to create the Durga idols for them. The success of this trend caught on and the business world was fast enough to react to the immense possibilities this festival held for business expansion. Pumping funds by way of sponsorship ensured a hefty returnof the corporate world. The mad rush for awards led to the puja organisers hiring more and more art college graduates to turn out spectacular theme-based pujas. Today, the big-budget Durga Pujas have provided irresistibly attractive options for many art students. The involvement of these institutionally-trained artists — who combine elements of modern sculpture, architecture, painting and traditional craft — has been changing the visual profile of the ancient ritual. In fact, many of the contemporary artists, including Sanatan Dinda and Bhabatosh Sutar, got involved in Puja installation art before their careers as painters took off.The Pujas offer artists an opportunity to unleash their imagination and experiment with installations, which no art college can finance. 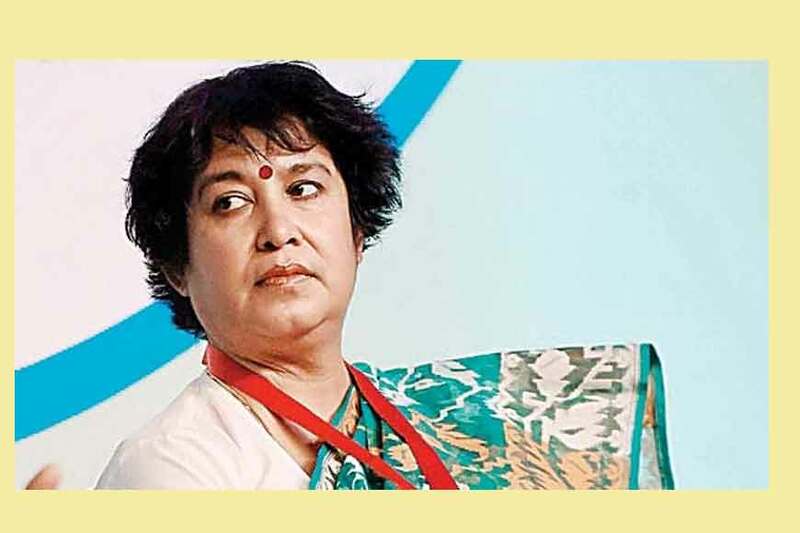 In fact, sculptor and painter Partha Dasgupta had said in an interview that way back in 2005, organisers of a south Calcutta Puja had sanctioned Rs18 lakh to buy iron materials for an installation. As a result, there has been a steady rise in the inclusion of mainstream art in this public festival. 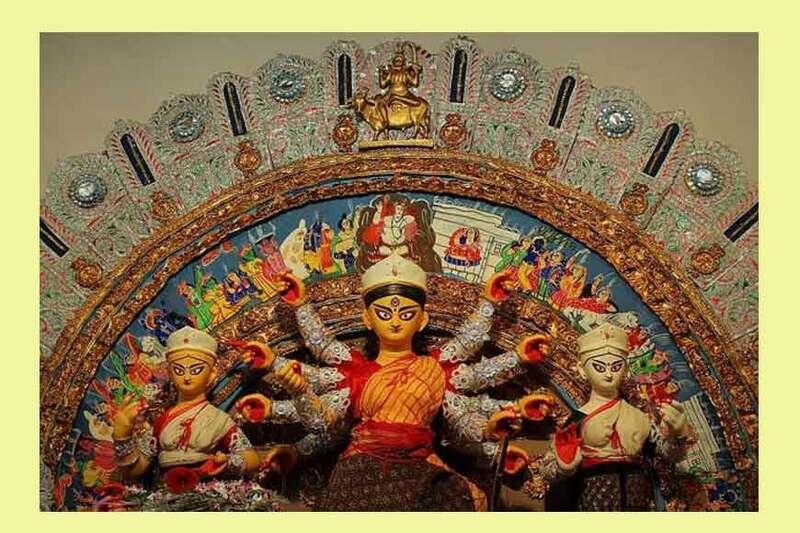 Considering changes in art forms, it is worth mentioning here that financial support plays a vital role in changing the traditional form of Durga Puja in Kolkata. Even a medium-sized community Puja nowadays can afford a trained artist and bear the cost of involving new materials, which would have been quite unimaginable earlier. 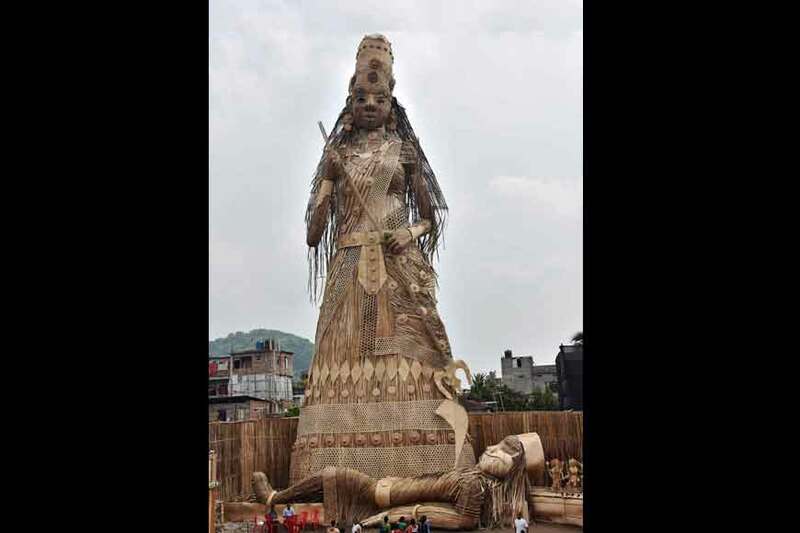 These temporary art works not just draws crowds but also awards, that are markers for excellence and so, attract more funds and sponsorships for puja committees. Being contemporary means a blending with the modern materials which denotes the time and documentation of the era. Contemporary artists vehicle their brilliant intellect with modern materials and for this a particular ‘site-specific installation art form’ is examined. These changes are already seen in music where a style of fusion generates and is accepted worldwide. Experimenting with different sources of illumination and music has also become an important feature during the Durga Puja art. Great masters like Pandit Mallar Ghosh, Ustad Rashid Khan, Pandit Tanmoy Bose, among others, have composed music for particular Puja installations. This is also an important change from the traditional Pujas where the soulful shehnai was a common tune, and has now been replaced with the more popular Bollywood and Tollywood item tracks. Not just the art world, even city-based media conglomerates bring out a number of awards for the pujas, many of which are declared on the Chaturthi itself to draw huge crowds. So that’s how the marketing strategy works. Far from tradition, far from the religious fervor, it turns to more of a show of splendor and money. And yes, the essence of Puja has changed over the years. For better or worse, that’s for you to decide.